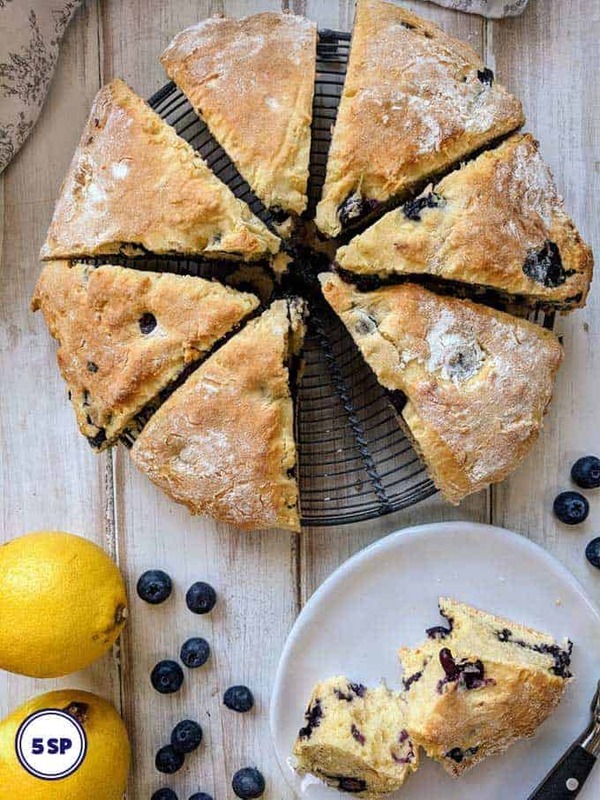 Whatever I should be calling them, these Blueberry & Lemon Scones will definitely hit the spot if you are after something sweet to eat whilst following the Weight Watchers plan. 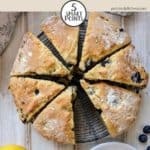 And at just 5 SmartPoints per scone, they are relatively low in SmartPoints. 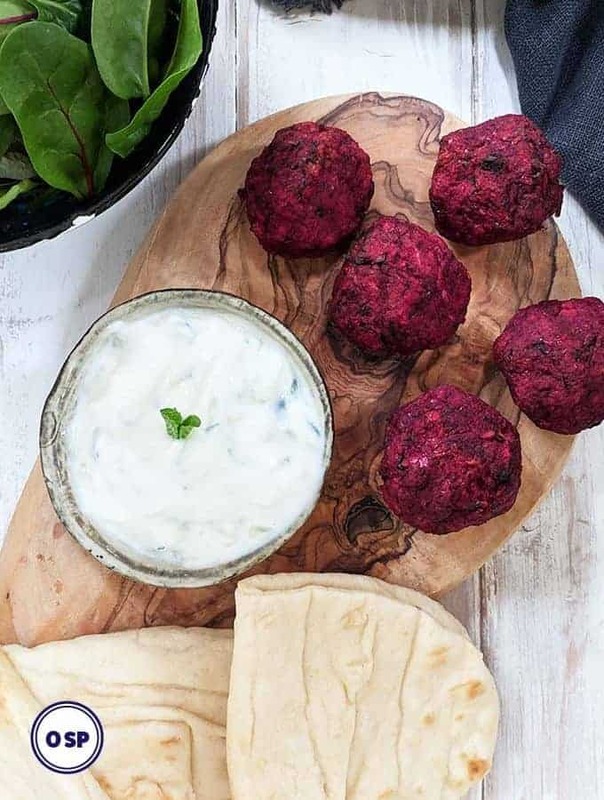 They are packed full of plump, juicy blueberries which gives them an extra bit of sweetness. I also added some lemon zest which gives the scones a hint of citrus freshness. I added some fat free yogurt which added a bit of moistness. And I added some eggs (which is the ingredient that turned them from being scones to being non scones!). 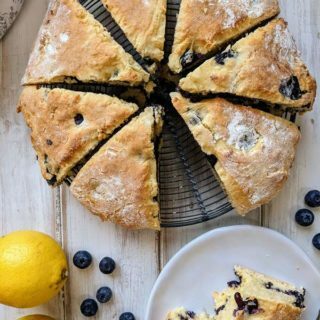 If you like the look of these Blueberry & Lemon scones, you make also like to take a look at these Pumpkin Spiced Scones. Add the blueberries and sugar (pic 3) and stir before adding the whisked eggs. 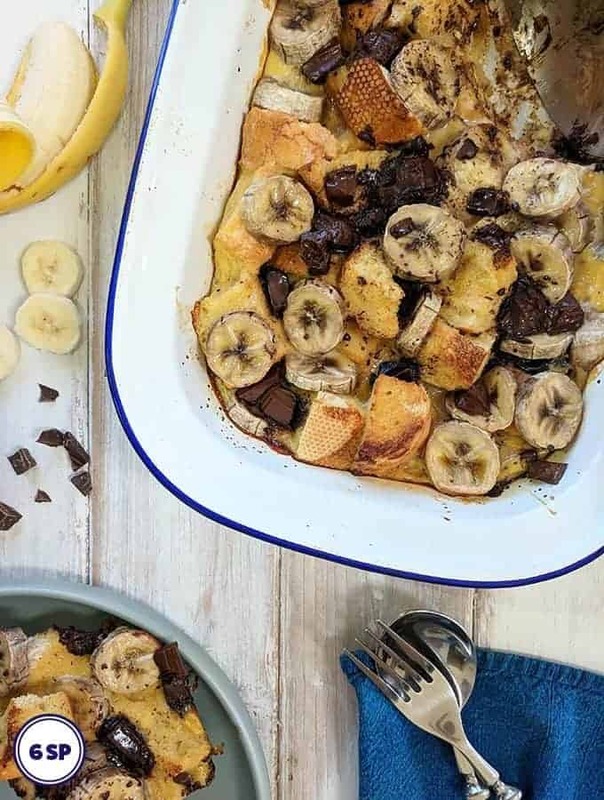 Once you have mixed the eggs into the dried ingredients, add the yogurt tablespoon by tablespoon until you have a soft but still sticky dough (pic 4). Tip the dough onto a prepared baking sheet and form into a circle about 1.5 cm thick. Use a floured knife to mark out the eight scones (pic 5). This will make it easier to break (or cut) once baked. I used a Silpat to line my baking sheet. Silpats are available from Amazon in a number of different size & shapes. 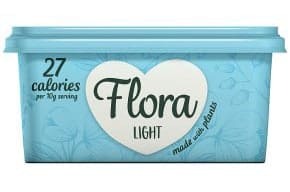 If you are in the US, you could use a light vegetable oil spread such as Blue Bonnet Light. If you are in Canada, I’d recommend Becel Light! You could omit the lemon zest if you prefer. If you like your scones (or non scones 😋) glazed, then whisk an egg and brush it over the top of the scones before baking. This 5 SmartPoint Raspberry Jam Sponge. 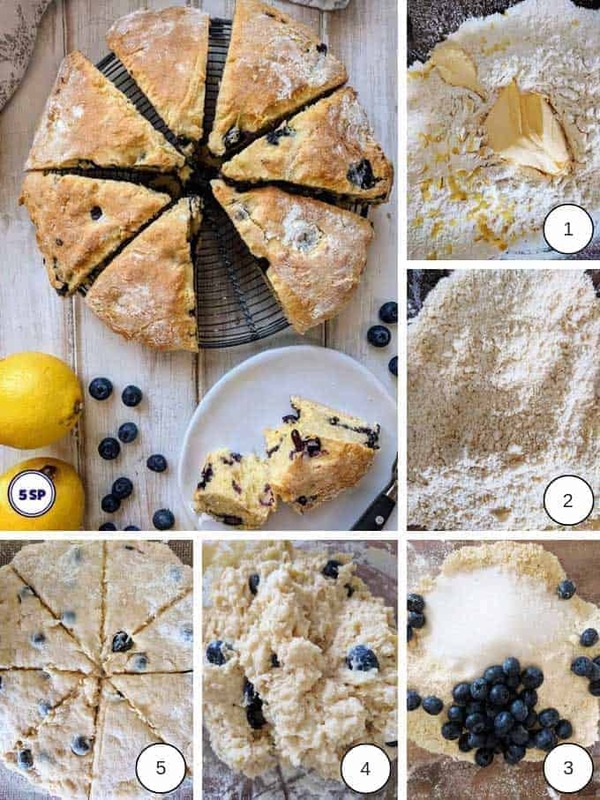 These tasty scones are just 5 SmartPoints per portion on Weight Watchers Freestyle & Flex plan. Preheat the oven to 190oC / 170oC Fan / Gas Mark 5. Line a baking sheet with grease proof paper or a silicone sheet. Place the flour, baking powder and lemon zest in a large bowl. 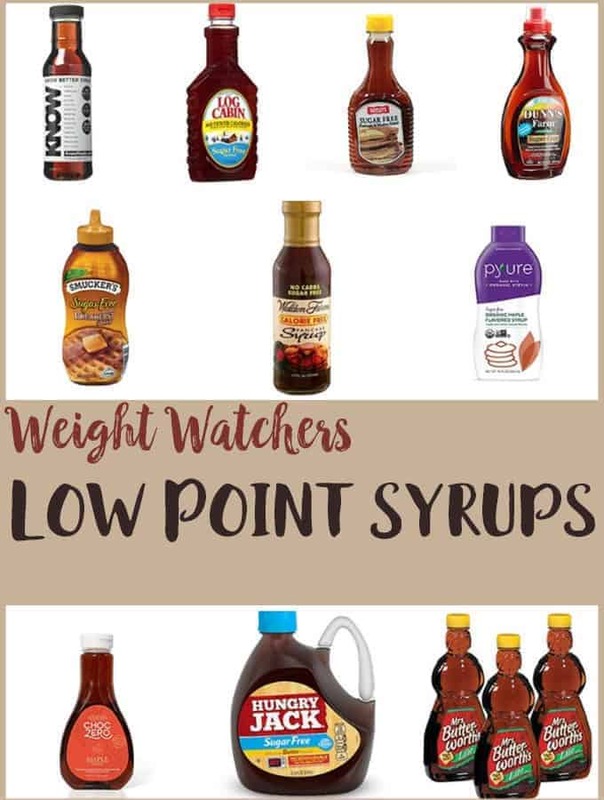 Add the low fat spread. Used your fingers to rub the spread into the flour. Once finished it should resemble breadcrumbs. Stir in the sugar and blueberries. Whisk the eggs and add to the dry ingredients. Use a spoon to mix into a dough. Add the fat free yogurt tablespoon by tablespoon until you have a soft but still quite sticky dough. Tip the dough onto the lined baking sheet. Flour your hands and dust the top of the dough with flour before shaping the dough into a circle about 1.5 cm thick. Using a sharp knife mark out the 8 scones (this will make it easier to break into individual pieces once baked). Place in the oven and bake for 15 - 20 minutes until it has risen and has turned golden brown. Remove from the oven and transfer to a wire rack to cool before breaking into individual scones. Serve warm.